CableGuy and MobiCable are flagship products of Mobiezy, these products are used by almost 1000+ cable operators in India. Mobiezy was able to achieve this target through the partner network. This program was launched in 2016 to drive the expansion of customer base across pan India by leveraging local entrepreneurs who believe in startup India story. This is a winning model where one gets to learn and grow with a technology driven company that is changing the way subscription business work across India. Bridging the gap between consumers and service providers – overall improving the quality of service, promoting transparency and most of all – Convenience at finger tips of the vendors and consumers alike. The software itself is based on state-of-the-art cloud engineering platform that can run on smart phone and mobile devices of different form factors – providing real-time insights and information. At Mobiezy we have 3 types of Partnership Program models. These models are explained below. The best form of businesses the ones where the customers themselves promote the product and so far the story of CableGuy is on those lines. A qualified reference is known to be the best way to make a sale. At CableGuy we are targeting near 40% of sales are generated through a reference and it is an established practice in CableGuy to convert these references into sales – with the last mile effort from our partners. Channel partner is an individual or a company who would associate with Mobiezy to market and sell our software application CableGuy/Mobicable and maintain long-term relationships with us and our customer base. After selling our Application a Channel Partner is also responsible to provide ground level after Sales Support and Service to their client with the help of our team. The nature of these sales would require one to have an expert level understanding of cable operator businesses and their challenges. Our channel partners also provide feedback to our product application team for better software upgrades in the future. Our Channel partners work with us to ensure retention of the clients and look at other avenues how we can provide more value to them through other services. These services are called Add-On services and vary from region to region and have their own revenue model. The details would be explained on Add-on services and commensurate commissions based on the interest and capabilities of the channel partner. Channel partners are required to be IT savvy and well versed with the Smartphone apps, both Android and IOS, and would need to have laptops/smartphones available to them to be able to demo the software and establish connect with our team on regular basis. Mobiezy will share revenue with Channel partners. Special one-time payouts are considered for those transactions qualifying for annual plans. The revenue sharing percentage calculation will be shared separately. 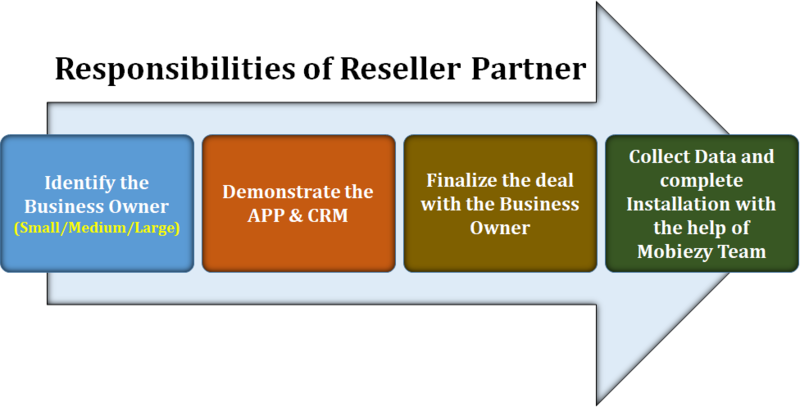 Reseller partner is the one who works with our marketing team or under an established Channel/regional Partner of his area and sells the application to the prospective customers. He is not responsible for providing support and service to his clients that will be through us or his Channel Partner. 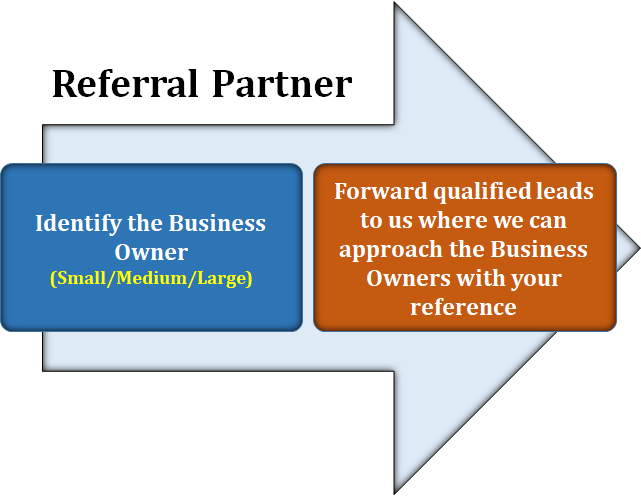 Referral partner is one who will generate leads for the company. For becoming a Referral Partner no investment is required. The margin will be given only when the lead provided is converted into App installation and Operators first-month license fee is collected. Strong growing business model in line with Digital India story. We are digitizing various services business that is today unorganized – highly random and complex, we make solutions that are world class but simplify the way businesses are done. MobiCollector is always known to have “fair business policy” We understand your need and develop and can mold according to situations for the growth of Business. We strongly believe that Transparency is the key to healthy and long-term relations. Effortless Installation & Implementation – Cloud-based, little to no infrastructure needed. Mobiezy provides a dedicated Technical Professional to every Partner till one is perfectly trained. At our Head Office, we have a dedicated team of professionals who are always ready to provide solutions to our Partners for all of their days to day queries. We at Mobiezy provide Complete Product Training to all our Partners. We have a track record of minimum attrition, with this, we are able to have strong and reliable customers base for the long term. Mobiezy models are a futuristic product, which has to be annually renewed and Company shares high revenue with our Partner’s for their retention efforts. This is also another way to generate revenue every year. Becoming a Partner will assure you to continue enjoying getting the profits year on year ensuring secure future. While exploring other Value-added services that would be unleashed into the marketplace for our consumers. 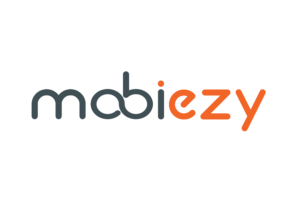 Mobiezy is a step into other value-added services business that the company is exploring and the opportunity is limitless – and this is only currently available through a selective program for established channel partners.